The team, made up of Whitehall Firefighter/Paramedics Pete Richison (team captain), Drew Glenn, Dan Horn, Mark Simpson and Jeff Grossman, also met their team personal record of completing the challenge in 1:22:83. The challenge pits firefighters from multiple departments against one another in a relay race to complete several fire ground skills while wearing full firefighting gear. Events included racing upstairs while carrying a 40 lb. hose pack, a forcible entry simulator, dragging a charged hose line, and finally, dragging an adult life size and weight mannequin 100 feet. The Scott Firefighter World Challenge attracts hundreds of U.S. and Canadian fire departments and has expanded to other countries like New Zealand, Germany, Argentina, Chile and South Africa. The WFD team qualified to participate in the event in August, when Glenn, Grossman and Richison earned a 4th place finish at the Scott Firefighter Combat Challenge in Pataskala, Ohio. In early September, the same team, along with Simpson, took first place in the Rastin Challenge Firefighter Combat Challenge Event at Mount Vernon’s Ariel Foundation Park. 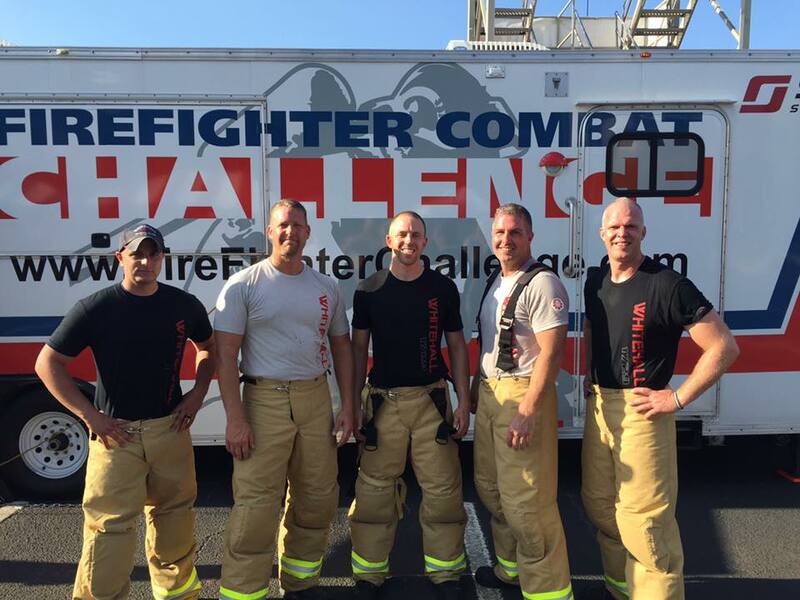 The team represented the Whitehall Division of Fire at the inaugural event and competed in two challenges: a Firefighter Combat Challenge and a full-gear firefighter stair climb race.